Alicante Group is a business development, strategy, communications and public relations consulting firm specializing in Africa. We help our clients achieve results through high value analysis, strategic planning, tactical advice and engagement solutions. With our long established relationships with leaders and decision-makers in Africa, we bridge your business needs with those of the African community. Alicante Group has a unique team of Americans, Europeans and Africans that offer our clients an informed global perspective. 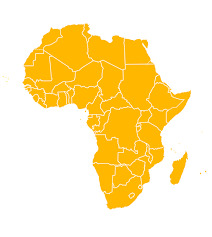 Our understanding of Africa’s culture, history, politics and relationships provide our clients unparalleled insight.